Solid Hardwood – Chestnut Flooring experts are very knowledgeable when it comes to the solid hardwood floors & will be happy to assist you finding the best materials in Toronto. Engineered Hardwood – Like hardwood, engineered flooring comes in a wide variety of wood species, colours, widths, and finishes, so it can be customized to meet your needs. 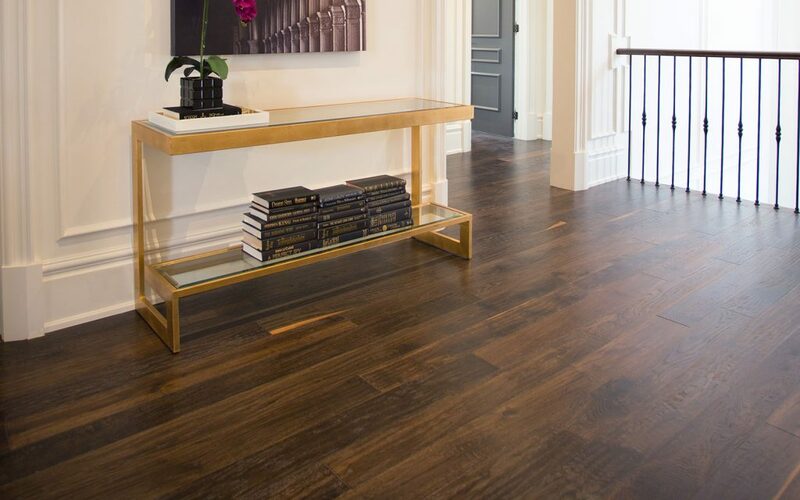 Custom Hardwood – Although there are many flooring options available, most people prefer hardwood, due to its warmth, luxurious finish, and timeless appeal. Vinyl has outgrown its scuff-prone, plain-looking past and developed into a top-tier material cutting a stylish swash through the world of flooring. For the older generation, this turnabout can feel a lot like seeing that awkward classmate now strutting down the red carpet, but for everyone else it is a fantastic opportunity to add modern style and flair to a home or business. Vinyl’s signature ability to mimic the look of any material means it can enable flooring designs that once upon a time would’ve been insane to contemplate rather than on the bleeding edge of style. When planning to buy Vaughan vinyl flooring, you’ll see a whole world of trends has suddenly opened up. Concrete is probably not the first thing to come to mind when thinking about stylish trends, but it’s true. Concrete offers a sleek, modern look or industrial styling that offers a lot of great room for experimentation, especially since concrete, like vinyl, is quite affordable. Of course, concrete is not exactly known for having much give and its role as a source of aching feet can sorely limit its use (pun not intended). Instead, concrete-look vinyl flooring lets you capture the sleek appearance or rugged texture of concrete while enjoying a softer and foot-friendly material at the same time. Wood is a stylish but expensive flooring option and for good reason. Not only is wood prone to scratches, but it needs a comparatively high level of maintenance and should be kept as far from sources of spills and stains as possible. 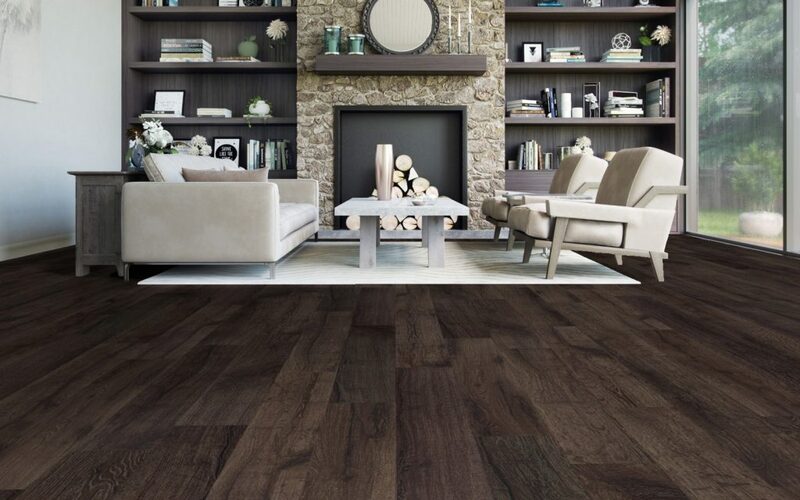 Vinyl flooring can offer the high-quality appearance of wood but none of the downsides, especially since vinyl is highly scratch-resistant and waterproof. Not only does this mean vinyl can get wooden style at affordable prices, but it can be used in rooms and environments that would be a nightmare with the real thing. Wood-look vinyl flooring in Vaughan is available in a number of different styles so home and business owners can easily get stylish, aged, or antique looks in accordance with their personal vision. Porcelain and ceramic are facing fierce competition from vinyl when it comes to offering realistic stone appearances. The look and style of marble can now be captured in vinyl floors, right down to the unique veining and translucence the stone is known for. Slate’s sharp, contemporary looks and varied shades are also well within the reach of vinyl. Ditto for the distinctive patterns of old-time travertine. Although porcelain and ceramic are viable options for the stone style seeker, only vinyl flooring can offer warmth, resilience, and chip resistance alongside these modern trends. Metallic-look is more of a subcategory of vinyl flooring in Vaughan but it’s one that’s worth mentioning because of how much it stands out. A metallic-look floor takes another flooring style (wood, stone, etc.) and applies a sheen and shimmer to the surface. The result stands out and can be used to make firm statements of style in offices, stores, and other spaces where the lasting impression of distinctive looks is desired. Can Vinyl Flooring in Toronto Work In My Summer Home? Luxury Vinyl Flooring in Toronto: Is It the Right Choice For my Commercial Business? Vinyl Flooring in Toronto : What Type of Flooring is Best For The Kitchen? Is Toronto Vinyl Flooring Good For Unheated Cottages? SEO & Website Design Nova Solutions | © 2019 Chestnut Flooring Inc.